If you're looking for a healthy broccoli soup recipe, this is one of the best — it's just a basic, simple cream of broccoli soup, but with Parmesan so it's extra dreamy. It's also a good way to get some superfoods into your family, keep reading for how to do that! About 3 cups homemade chicken or turkey broth (the amount doesn't have to be exact) — Here's how to make homemade broth or check out the “broth bible” here: Nourishing Broth. (Read my review on that broth book here.) I now know how quick and simple pressure cooker broth is so I can make some mineral-rich broth more quickly in a pinch. 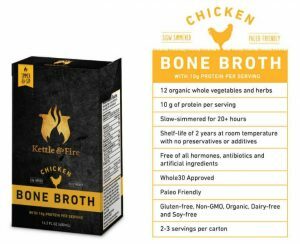 If you just don't think you will make it or want some on hand for when you're really crunched for time, try this bone broth — it's 100% grass-fed with a bunch of gelatin, organic ingredients, and it's shelf stable! I love keeping their beef and chicken broth on-hand for quick recipes because they make it just like I do here, and without the nasty msg-like ingredients, additives, or preservatives that store-bought has. 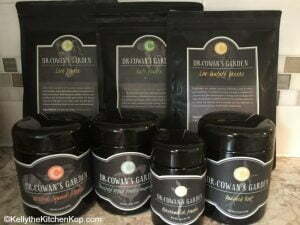 Herbs and seasonings to your taste — add about 1/2 teaspoon of one or more of them and again, add more as you taste test: fresh chopped garlic or dried garlic powder, onion powder, fresh chopped oregano or dried oregano, fresh chopped parsley or dried parsley, and anything else that sounds good to you. The ingredients in this recipe don't have to be exact at all! I keep these vegetable powders on hand for recipes like this where it's SO simple to add in a little more nutrition. Start with small amounts, such as 1/2 teaspoon, and taste-test to be sure you're not overpowering the flavors. Add more as you see what tastes good to you. These vegetables are organically grown in nutrient-dense soil, so you're getting much more than you'd get with a bland vegetable from the store that has travelled hundreds or thousands of miles to get to you. 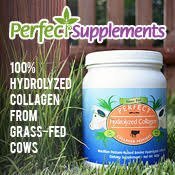 1 scoop of collagen powder from grass-fed cows for extra protein and nutrients for your hair, joints, better digestion, and more. I put this stuff in everything because it dissolves easily and has no taste at all. 1-2 egg yolks — they just make it creamier and add nutrition! (The whites would not blend in as nicely.) Read all the benefits of getting more eggs in your diet here. Start by making a white sauce, or roux: Melt butter in a saucepan on medium heat. Whisk in the flour and continue whisking and cook for 3 minutes or so. You may need to turn it down so it doesn't burn. Then slowly whisk in the broth and cream, and keep stirring as it thickens — if you add it in too quickly it won't be as thick and creamy, but it'll still be good so don't worry if you screw it up. Add the optional superfoods as mentioned above. Stir in the cheese, reserving some for the top, and then the broccoli. Now it's time to season it and taste-test… Keep your stove on low as you do this so it doesn't burn. If you're using fresh herbs, chop them and toss in along with the sea salt, pepper, and whatever else sounds good to you — just start sprinkling the seasonings in, a little at a time if you're new at this, and keep tasting until you get it nice and dreamy-licious. Serve with extra cheese on top. Let me know when you try this healthy broccoli soup recipe and tell me what you think! Want something really yummy and good for you to dip into your soup? 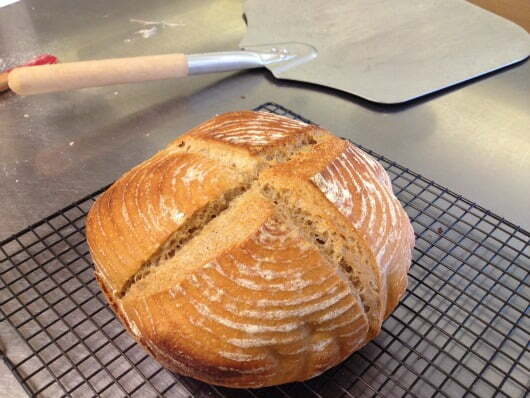 Try this Homemade Sourdough bread — it's the healthiest bread on earth! The post at that link has step-by-step instructions. 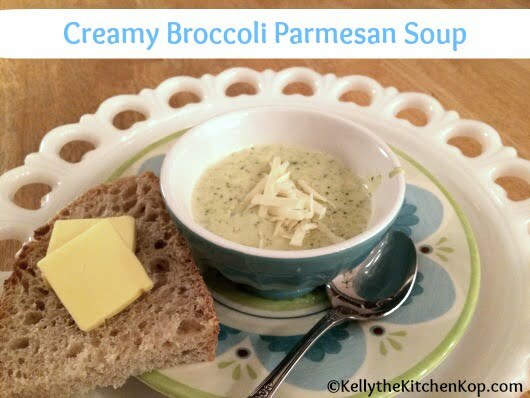 See my sister's low-carb broccoli cheese soup here. 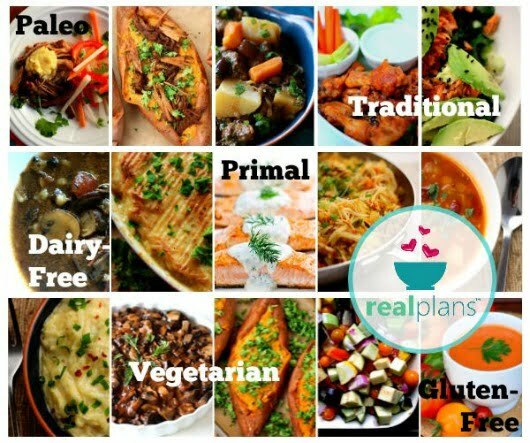 Check out these affordable interactive easy-to-use meal plans where the work is done for you! Also read over my review to see what I thought of it. OR if you've ever wanted to try a TO YOUR DOOR meal service, I finally found one that I can recommend, just click here to check it out. It all comes in a box (with an ice pack for the meats) and it's actually pretty affordable especially compared to eating out, and even more when you consider the food is higher quality than any restaurants since it's rare to find one that has pastured meats and organic ingredients! It takes 30 minutes or less of prep work before you eat, but there's no shopping, no planning, just pick out your meals online that look good to you (the two we got were really tasty! ), then just spend a very few minutes in the kitchen and you're done. Again, click here to learn more. Made this tonight, using ghee instead of butter, almond flour and unsweetened almond milk. Also, I used raw milk parmesan (thanks to Fresh Thyme! ), very good! I have garden fresh broccoli coming out my ears. This helps. How is it cold? @Melanie Herberg I’ve never tried broccoli soup cold! Sounds delicious! I can’t wait to try! Superior soup, made it tonight as it’s in the teens and 20’s most of the week. I did add the last few potatoes out of the garden and some bacon as well as caramelized onions. Plenty of leftovers. I’m always so thankful for feedback like this, thanks Kathy!! Yummy! 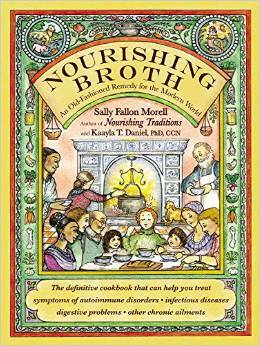 I’ve got bone broth simmering and will make this tomorrow! Thank you for sharing!